How do the Election and Ecomony effect each other? I love America! Our freedom to choose and speak our mind with our vote is powerful. There is no doubt that that the economy has a huge effect on election results. 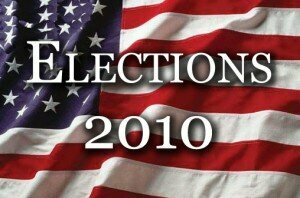 In 2008 and now in 2010 candidates are using the economy as a main running plat form. Historically speaking when the economy is in shambles the party in power typically has a difficult time retaining that power. If we take a look back at 2008 we saw the republicans get it handed to them. They were the previous party of power and the economy was on a downward spiral. Now in 2010, with the economy continuing that downward spiral deeper and deeper the democrats are facing a very similar situation. According to the Rasmussen Reports the GOP is looking like they may regain some lost senate and house seats from 2008. But since we are not a political blog, but a financial blog let’s quit discussing the politics of the economy effecting the elections, and take a look at how the elections affect the economy. Elections can be a rough time for an economy, or perhaps a put on the breaks time. There is a lot of uncertainty surrounding elections and financial markets never quite know how to react. Let’s take a look at a few factors that cause this to happen. Elections are unpredictable – Although polls show certain leads and trends they are not always correct. No one really knows what the final result will be until the ballots are counted. This means financial markets and investors cannot predict what is going to happen and therefore cannot prepare for it. Prepare for what? Good questions, which leads us to our next point. Balance of Power – The change of power or the lack there of can have a profound effect on the economy. If the balance of power changes there may be major policy changes or new bills introduced that can and most likely will affect consumer confidence which will trickle into the economy. Stand still to Lots of Change – With the unknown results heading our way it is likely that the economy will remain fairly similar until the outcome and changes from the elections are present. If there is a change in power you can bet the economy will have some rumbling and shaking in the near future, for the better or worse is yet to be seen. What is important is that you get out and let your voice be heard. Election Day is tomorrow and BankAim encourages you to remember to get out and vote. 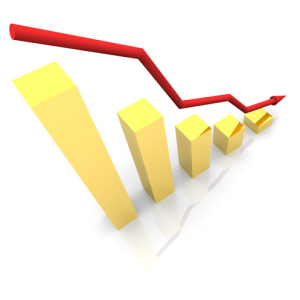 Mortgage rates are continuing to go down down down. According to the Primary Mortgage Market Survey from Freddie Mac mortgage rates have dropped again. Rates have been steadily dropping for months. There have been a few times rates looked like they were going to head back up, like in mid September, but inevitably they reverse course and continue downward. At this rate it is only a matter of time before we see the 30 year fix rate drop below 4%. Will this continue on to 2011? You can never tell with 100% certainty what interest rates are going to do as we near the close of 2010. There is a huge event happening in November that could have some effects on the economy and possibly affect the rates. That event is the mid term elections. As it looks right now there is a possibility of a change of power in the house and/or senate. A large change of power could effect consumer confidence for the positive or negative and have a huge effect on the economy. We could see this trickle down into mortgage rates as 2010 ends and 2011 begins. What we know right now is that rates are extremely low and if you have an opportunity to refinance or purchase a home it is a great time to do so. Did you know you can refinance an upside down mortgage?